There’s a fantastic new non-profit in town with an enormous amount of potential. 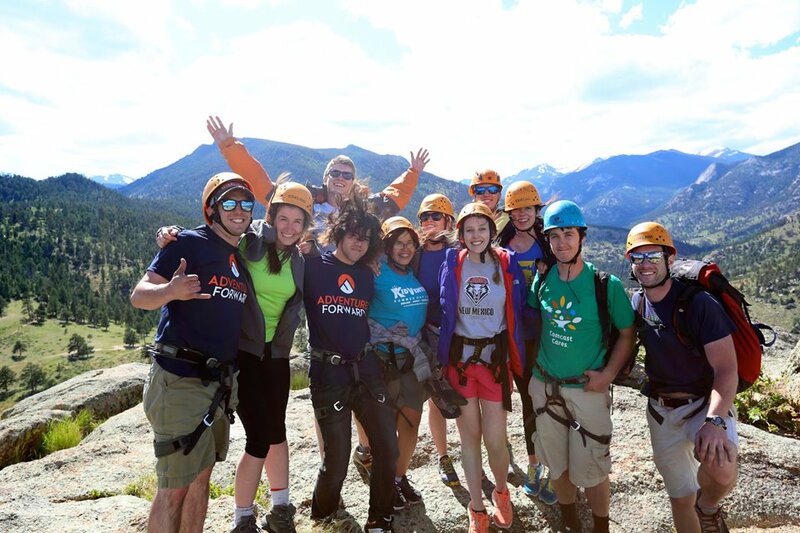 Called Adventure Forward, the organization was founded on the belief that exposure to adventure and academic support has the potential to create powerful, life-changing experiences–particularly for under-served youth–and it is doing just that. Here in Colorado, we live in a giant playground with access to some of the best outdoor adventure opportunities in the world. World class rock climbing, hiking, skiing, mountain biking, and more are mere minutes from downtown Denver. And yet, many kids in the area have never been to the mountains–much less experienced the thrill of skiing down a mountain, the stillness of a night spent in a tent under the stars, or the trust and accomplishment of summiting a mountain. While it is a Good idea to expose inner-city youth to the beauty of the mountains, so many important life lessons can be learned (perhaps most effectively) through experiencing outdoor adventure. What better way is there to learn how to communicate effectively, develop trust, and challenge your sense of possibility than at the end of a rock climbing rope 80 feet off the ground on the side of a mountain? What better way is there to teach children how to overcome obstacles and rise to new heights (literally) than by hiking to the top of a mountain? When children take on big challenges, the petty stuff disappears. Very quickly they learn how to more effectively interact with people, prioritize what is important, re-imagine their sense of possibility, and maximize their sense of satisfaction and accomplishment in life. If Adventure Forward only took students on outdoor adventures, it would be doing a great service. That it has dedicated corps members who provide academic support and mentoring, though, takes the organization’s impact to the next level. 1-on-1 tutoring, small group instruction, goal-setting, and progress monitoring in an academic setting compliment outdoor adventure education and leadership training in an outdoor setting, providing a integrated blend of research-based activities that improve students’ trajectories in life. While Adventure Forward is currently wrapping up a pilot phase in Denver, expect it to expand nation-wide in the coming years. Interested in supporting Adventure Forward? Click here. Interested in learning more? Click here.